I haven't done this in a while, but it's back and I'm really excited. The 'Meet' Series will be a chance for me to interview anyone I would love to meet that is involved with African literature. It's always such a pleasure getting to learn about someone whose work I've really enjoyed so I'm really excited about this interview. A couple of weeks ago, the Golden Baobab announced its 2014 longlist for its prizes and I wrote a post mentioning how happy I was to see that one of the stories I read and loved made it. Well, I am happy to announce that the next person in the series is writer and artist, Mary Okon Ononokpono whose short story Talulah the Time Traveller was longlisted. Talulah the Time Traveller is her first children's short story, but Mary is also currently working on her first adult novel. Enjoy!!! I’m a Nigerian Brit. 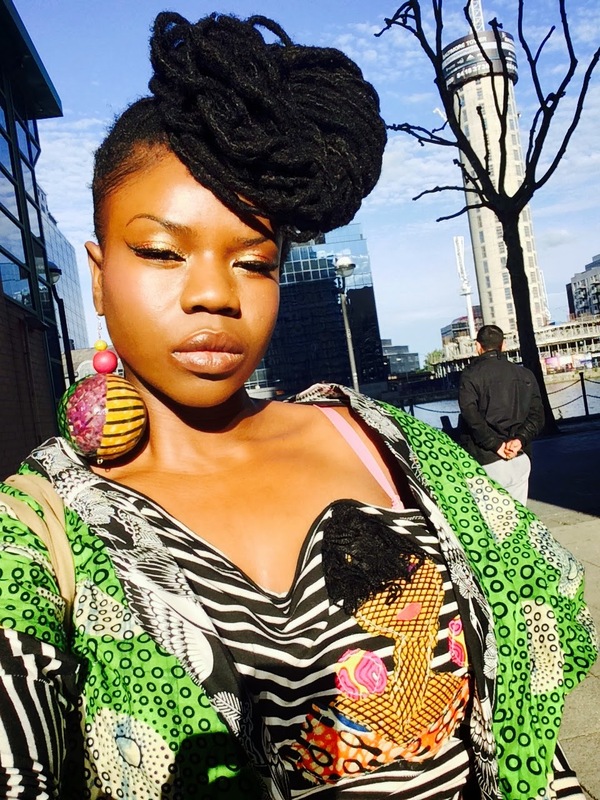 I was born in Calabar (SE Nigeria - Cross River State) and moved to the UK with my family when I was seven months old. (Today happens to be the anniversary of that move). I’ve lived mostly in Manchester but have just relocated to London. I’m an LCF alumni and have been working in the fashion industry as an independent designer for the last few years. I’ve also worked as a freelance fashion/entertainment writer which was my introduction to writing as an adult. Right now I’ve just started a course at SOAS so I’m back in academia. I’m also a Mum, I have an eight year old angel. She’s delightful. The first complete piece I ever wrote was a book called Down the Rainbow. I was eight or nine. I was a naturally gifted student and was way ahead of the rest of my class in English so my teacher told me to go away and write a book. I spent a couple of months writing and illustrating my book during English lessons. I knew at that point that I was going to become an author but there were other things that I wanted to do first. The art of storytelling. I love telling stories, whether visually or with words. I’m deeply drawn to history and the unearthing of stories that remain untold. I’m a bit obsessed with making tangible intangible things. It’s my way of understanding the world and my place in it. I can’t really explain why. It’s an urge that I feel compelled to follow. These days it’s rare for me not to be writing something. I’m working on my baby at the moment, the book that I’ve always wanted to read without realising that I would be the one to write it. It is my first work of adult fiction and is very close to my heart. However it deals with weighty subject matter which can be overwhelming at times. I wrote my entry for the Golden Baobab prize in-between researching for my book. Delving into a child’s world made tackling my other book easier. When I need a complete writing break you can usually find me in my home studio designing and making clothes and jewellery. Alternatively I’ll be illustrating, painting or doing something creative like making music or cooking up a storm in the kitchen. I also love visiting the theatre, going to exhibitions or generally doing something cultural with my little lady. Tell us about Talulah the Time Traveller? Talulah is an inventor obsessed with coding. She can do all sorts of wonderful things with code. She’s assisted by Karma, her clever cat and trusty sidekick. This is a story about her first time travelling adventure. The character was born about three years ago when my daughter (then aged five) was in the throes of a very rare tantrum. I’m not sure what happened to get her so riled up but I definitely had something to do with it (I’m forever winding her up). Anyway she was mid tantrum and wouldn’t calm down so I picked up my sketchbook and a pencil and started sketching the various stages of her tantrum. After about twenty minutes I had a series of wonderful illustrations which wound her up even more. I then had to pretend that the pictures were not of her (which incidentally she was not buying) but of a little girl called Tallulah (we’d watched Bugsy Malone a couple of days before). I had always wanted to write a book for my daughter so I decided then to write a picture book called Tallulah’s Terrible Tantrum. I loved the alliteration but after having a think, I decided to scrap that idea as I didn’t like the message the whole tantrum thing was sending out. I left it alone. About a year later I came across the illustrations and could mentally see animated visuals. I knew then that the character wanted to live. After allowing the idea to percolate for quite a while, the story emerged pretty much fully formed one night at about 4am. I jotted the outline down and the rest is history. I love that Talulah was not only very smart, but also an inventor, what drove the invention (no pun intended) of Talulah as a character? The character is pretty much based on my little girl. She loves dolls and those sorts of things now, but when she was younger she had no interest. She would ask me for things like telescopes, binoculars, microscopes and such for christmas and birthdays. I just fleshed out that aspect of her personality. Technology, app creations and even time management are some of the themes that feature heavily in this story, why do they play such a significant role in the story? Again my daughter was the inspiration. She's of the iPad generation. She could do things with technology at age one and two that I have difficulty doing now. I also love technology. It’s incredible. Some of the things that are possible now through technological advancements are world altering. What was your favourite part of the story to write and why? I didn’t really have a favourite section. I did enjoy projecting an Ancient Egyptian city. That’s my love of history coming through. What was your favourite book or series growing up? I loved Roald Dahl. He still is brilliant. I don’t know if I had a particular favourite book. I just loved reading. I grew up reading books by Jules Verne, Jonathan Swift, Lewis Carol, Charles Dickens. The first book I was introduced to was the Holy Bible, the Old King James Version. That and Shakespeare instilled a love of the English language in me. It was also filled with wonderful stories, drama, suspense, action, murderous intent, you name it, it’s all in there. I loved The Chronicles of Narnia, anything by Tolkien. I’m a self confessed Tolkien geek. The man was superb. I was exposed to classic English literature at a young age and absorbed it like a sponge. Sometimes the world gets too much. Children are little bundles of pure magic in a world too often filled with hatred and fear. Indulging my inner child helps to block out all the ugly stuff. Another motivating factor is that I didn’t see myself represented in any books as a child. I read books written predominantly by white men which in no way represented my experience although I still happen to adore those books. The African books that I read tended to be either a rehashing of very old African fables, which is all very well and good, or they were set in the Continent and concerned experiences that were alien to my own. Books written by black authors and set in the African diaspora tended to have a focus on Caribbean or American experience which was something that I as an African immigrant could not easily identify with. I want to correct that for my daughter. I believe that it is very important for children to see their own individual experiences narrated in popular culture, it can either inform or limit perspective depending on what degree of access there is. 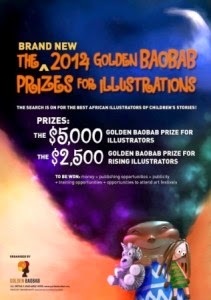 How did you hear about the Golden Baobab Prizes for Children Literature? Twitter. Twitter is brilliant for things like that. What was your reaction to being longlisted for the prize? My daughter’s reaction was a classic. Punching the air and saying “Yes. I knew you would do it Mummy.” She told me that by this time next year she expects to be holding a physical copy of the book. I guess I’d better make it happen. I found out about the Golden Baobab long-list a few hours after that. It was an incredible feeling. When you’re starting out as a writer (or on any new path), it’s always difficult to be objective about whether your work actually holds any merit. I was essentially shooting blind. Having my first two adult attempts at creative writing long-listed for prizes confirms that I am indeed on the right path. I’m right at the beginning but it is a path that has been calling to me for a very long time. I have a lot of work to do in terms of writing, rewriting and editing but I am very excited about what the future holds. Mainly non fiction course materials. I'm also reading materials that delve into West African experience in the 14th and 15th centuries. 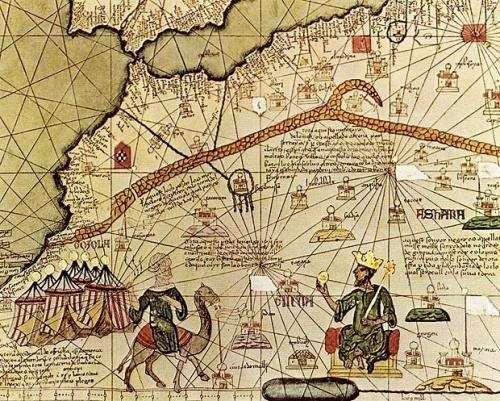 The combined legacies of the transatlantic slave trade and her younger sister colonialism, have become the bane of understanding African history which is essentially the history of humanity. In order to move beyond that point I believe that it must be given due attention. I’ve grown up hearing people (black and white) making statements such as ‘why can’t black people get over slavery.’ It’s a perfectly valid question, but the problem is, the topic is all too often glossed over. It’s a source of immense shame for descendants and perpetrators alike and the legacy is absolutely everywhere. There’s no escaping the elephant in the room, but understandably it makes people feel very uncomfortable. It's arguably the greatest crime in the entire known history of humanity. As an artist I am constantly drawn back to that period in history. It changed everything. I’m interested in exploring what came before that, but in order to do so I have to carefully examine that time. I’m not really reading fiction at the moment because I am writing fiction. I’m discovering my voice and style and I don’t wish to be unduly influenced by my favourite authors. When I am feeling stuck in a funk I will read the opening and closing chapters of books to get my creative juices flowing, but there is a very fine line. A few months ago I got stuck writing a section and decided to read the opening to Toni Morrison’s Beloved. Halfway through the chapter I felt despondency creeping in. I thought ‘you can’t write mate. How are you ever going to match anything like this?’ So I stopped reading. That was an exercise in intimidation which I don’t fancy repeating often. Right now I have to be singularly focussed on producing my best work. African Literature is en vogue at the moment. We are currently spoilt for choice but even so there are many untold stories waiting to be heard. Last year I fell in love with Ben Okri’s work. A great starting point is The Famished Road. It’s not to everyone’s taste but I was bowled over by it. It delighted and frustrated me in equal measure and by the end of the book I felt altered in subtle ways. That is always a sign that you’ve read something penned by a true master. No. I’m more inclined to read the back of a book and figure out whether it will be of interest to me that way. I do appreciate a good cover though. It’s the artist/designer in me. I was smitten by Taiye Selasi’s hard cover for Ghana Must Go. I thought it exquisite. But then she is a multi faceted writer with an artistic background so that isn’t surprising. I love nice clean typography and things like that but it wouldn’t influence whether I’d buy a book, but illustrations do. I’ve turned up my nose at many an illustrated children’s book due to dated/uninteresting illustrations. I think that is something that African children’s publishing needs to address. 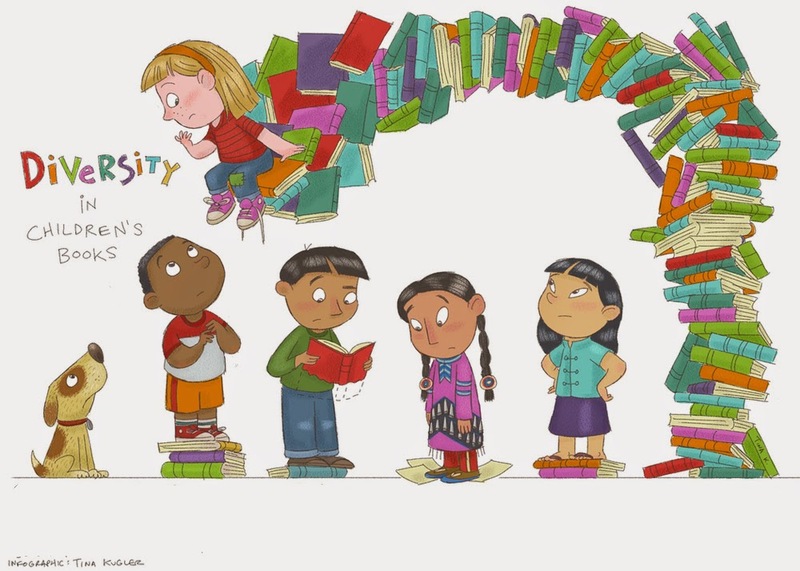 Diversity in children’s literature cannot be addressed by writers alone, we need a new generation of artists and illustrators to step forward. This is one of the reasons I love the Golden Baobab initiative. They have correctly identified areas within publishing that need work and are doing their utmost to ensure that all of our stories are represented. Just read. Reading expands the mind. Few things beat the smell of the pages of a well worn book, especially when you have a mug of good coffee to hand. That being said I’m not adverse to ebooks at all. In fact I love them. The ease of access to all that information is truly a wonderful thing. What’s next – can we expect more Talulah? Talulah is definitely a series. I would also like to work on a series of picture books following her story when she was a baby/toddler. I’m brimming with ideas at the moment. There will be more children’s books but I’m very excited about the adult fiction that I am working on at the moment. Such a cool and intelligent lady and I'm really happy Mary Okon Ononokpono took the time to answer my many questions (thank you so much). I really can't wait to read more of her work. Also definitely check out her website, which has some of her awesome illustrations. How i can purchase these children books and adult fiction, on which your working, I also read such types of books and fictions that i purchase buy using Baobab Discount Codes.